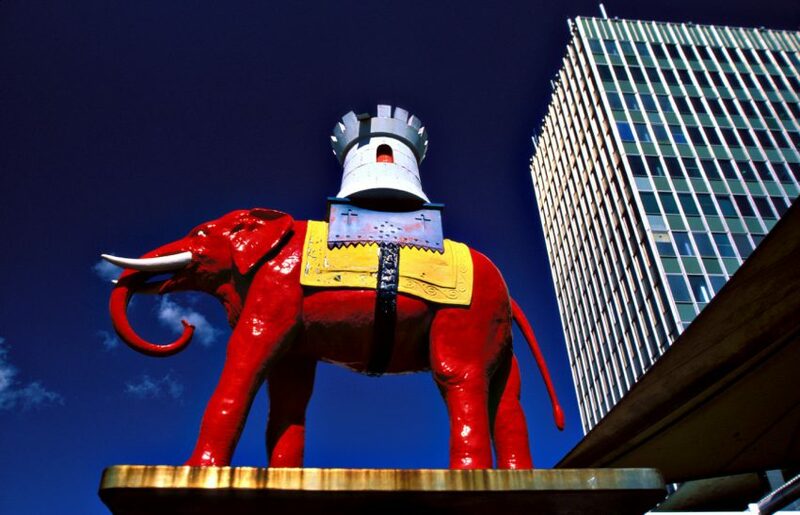 London’s Elephant & Castle derives its unique name from a local coaching inn that dates back to 1765, although the mention of ‘Elephant Lodgings’ in Shakespeare’s Twelfth Night suggests an even richer history. ‘The Elephant’, as this district is locally known, is primarily the area that surrounds a large road junction and a prominent 1960s, slightly shabby, shopping centre, although it also encompasses Walworth and Newington. 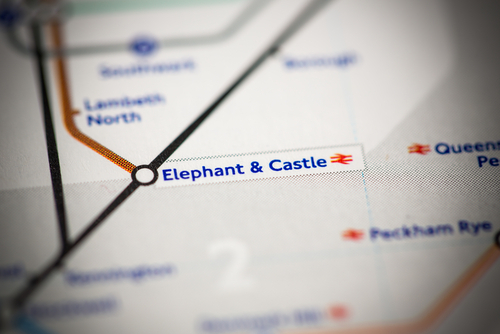 While lying south of the River Thames, Elephant and Castle boasts terrific Tube links and thus is an extremely convenient location. In the early 20th Century, Elephant & Castle was a major shopping and entertainment destination, known as the ‘Piccadilly Circus of South London’. Combined with easy access via train, tram and road, it became popular with visitors and residents alike. Since then, it has changed significantly. While there were countless Victorian properties built during Elephant & Castle’s peak, many of these were destroyed during the Blitz in the early 1940s. After World War 2, Elephant & Castle was subject to major redevelopment, with large block estates replacing traditional housing stock in the 1960s and 1970s, the most notable example of which, is the Heygate Estate, designed by Tim Tinker and built in 1974. At the time, the Estate was well regarded for its light and spacious living accommodation and housed some 3,000 people. However, over the years, the Estate degenerated and for a long time it had a reputation for crime and poverty, lending itself as an ideal film set for gritty Hollywood films. Fifty years on from the Heygate’s inception and the area is again subject to great change. The Mayor’s London Plan recognises Elephant & Castle as an opportunity area, with significant potential for growth, and approximately £3bn of private and public funds are being invested in the area. This has manifested itself in the construction of an increasing number of high-rise towers over the last decade, including the award winning 43-storey residential tower Strata SE1 – nicknamed the ‘Electric Razor’ for its appearance (and also winner of the infamous Carbuncle Cup in 2010). The Heygate Estate is now being redeveloped by Lend Lease and construction is already underway to provide 2,500 new homes. Asking prices at the scheme range from £693,000 for a one-bedroom apartment. These prices are having a ripple effect on the value of surrounding housing stock and although these are still below new build prices, it is not uncommon to see good quality second-hand stock sell for more than £800 per sq ft. The Aylesbury Estate is another example of a large post-war development which had deteriorated but is now currently undergoing redevelopment. Located just south of Burgess Park and home to some 7,500 people, it was once the largest public housing estate in Europe. The first phase of the redevelopment comprised 50% of affordable housing. The redevelopment of the whole estate is due to complete in 2032. Anyone that has been to Elephant & Castle knows that the streetscape is dominated by traffic and congestion that surrounds a 1960s shopping centre and train station. Delancey purchased the shopping centre and surrounding land for £80m in 2015, with a view to provide 1,000 new homes, retail units and offices, along with a new campus for the London College of Communication and the new University of the Arts London. Their proposals would effectively create a pedestrianised new town centre; helping to return Elephant & Castle to the shopping and entertainment destination it was once was. At present however, their planning proposals are facing delay after Southwark Council rejected a recommendation for planning approval in January 2018. The decision is pertinent, as one of the main reasons for the rejection was that the 35% affordable housing commitment was too low. It will be interesting to see how the planning application progresses, given the Mayor of London, Sadiq Khan’s stance on achieving 50% affordable housing provisions on all new London developments. Elephant & Castle is located so close to central London that large-scale regeneration was inevitable. This has led to concerns that existing residents will not benefit from a gentrification of the area and this needs to be addressed by Southwark Council and the developers; there is a fine line between delivering affordable housing and preventing large scale development. Hopefully, the right balance will be struck so the area can continue to improve, whilst retaining its unique character and diverse social fabric. 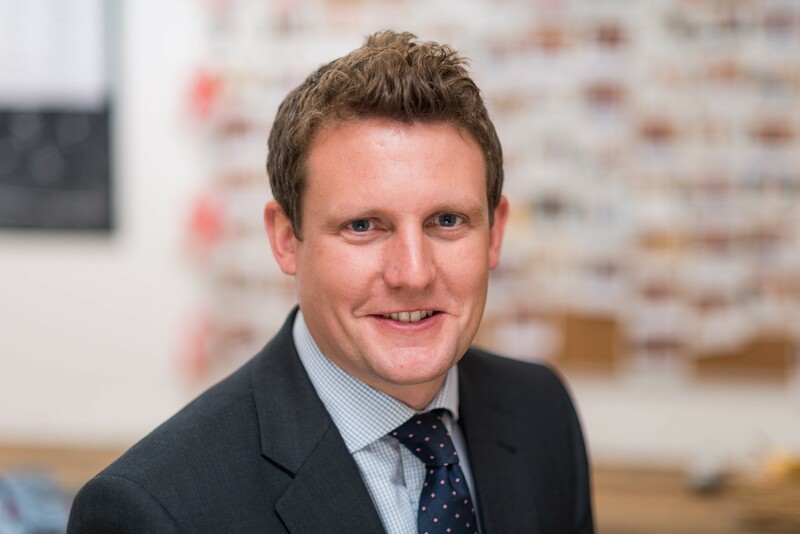 William joined Allsop in 2010 after working at Cluttons for 4 years. William currently works in the Residential Valuation department providing valuations for loan security of high value individual houses and flats, portfolios (both tenanted and vacant), as well as residential and mixed-use development sites for both lenders and Housing Associations. Additional Roles include being a Supervisor for Graduates undertaking APC Assessments.